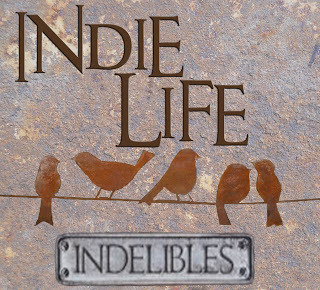 Welcome to my Indie Life post for February. This is a monthly feature posted on the second Wednesday of the month and hosted by the Indelibles. The aim is to promote, encourage, and support indie authors. Today I'd like to tell you a little something about my journey so far. I decided to self-publish simply because I love my story, and I wanted others to have the chance to read it and fall in love with it, too. I tried submitting to agents and publishers the traditional way, and I had a few requests for full manuscripts, but I also had a lot of rejections. It took me more than two years to get Fall For Me to the point where I thought it was good enough to publish, and then I realised it still had a way to go. But the first step was actually making the decision. Once I’d decided I was going to do it all myself, and set a date to work towards, everything started rolling. It was a very hectic and stressful few months, and when it came time to hit that publish button, I started to have doubts. Doubts about myself and if I could do it. Doubts about my work and if it would be good enough. I was so stressed to the point I actually felt physically sick. Then I pushed that button. Now, I’m in the middle of my first promotional blog tour. Not everything has gone the way I’d have liked, and it’s not taking off as well as I’d hoped, but I got it out there in front of people and the feedback I’ve had so far has been mostly positive. If I were to offer any advice to someone who was considering becoming an indie author, I wouldn’t hesitate in saying, do it! Sure it’s hard work for little gain, but the sense of satisfaction and achievement is immense. Don’t doubt yourself, because it’s contagious and others will doubt you, too. I know my time to shine will come, and I know once I start getting more titles out there, a lot of people will read and hopefully like my books. But, I’ve had to remind myself that not everyone will like my work. There will be haters. Don’t hate them back. Don't waste energy on the negative, focus on the positive and keep reaching for the stars. Congrats and best of luck with your tour! As you like what you've done, it doesn't (shouldn't) matter what anyone else thinks about it. That's really what it comes down to. Yes, I agree, but we are all still human. I usually allow myself some time to get upset over things, then I put it behind me. Blog tours are definitely hit or miss (I did one when the first book in my series came out), but it really does get your name out, so you should consider it a win! And we'll definitely get the haters and such, but then, so do trad published authors! Yes Claudia, I've had some good exposure which I'm really happy about, so it's a win! Great post!! Thanks so much for sharing your story :) Yay for self-publishing. It has been so rewarding for me as well. Love your book cover, by the way. It's very effective. Thank you. Yes, I have found it very rewarding as well. I especially love when I get compliments about the cover because I designed it myself. Makes me all warm and fuzzy. Thank you. It's a lot of work but great fun.